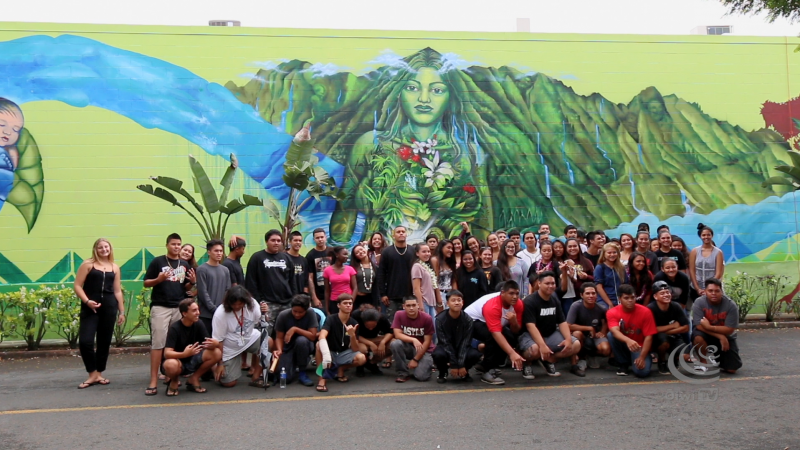 Students from Hoʻoulu ʻŌpio Academy honor the past and embrace the future in this Mele Murals project in Heʻeia. 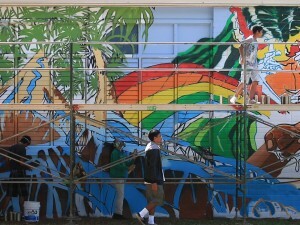 “I think this mural especially is very much connected to this place and not only does it share some of the history but I think it also is really meant to be a message more for the students than for anybody else,” explains Miyashiro. 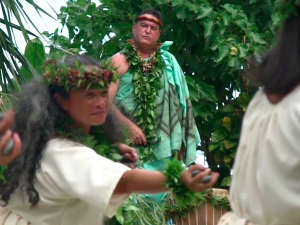 “I guess what they’re trying to interpret from the story to others is that after a bad time or after a storm there’s always new life,” reflects Cheyenne Freitas, a student at Castle High School. 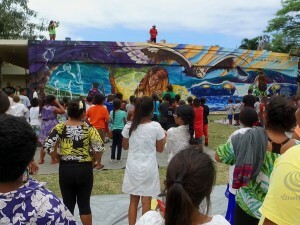 The student body offers an oli, or chant, to the mural on the morning of the unveiling celebration. “We want them to be able to pass this on to their children, to their grandchildren saying that, you know, what this story or what this wall represents and we hope that this wall will be here you know in the next 20, 30 years so that they have the opportunity to share it and its something that they can be proud of and say that ‘I was a part of this, I was able to participate in this,’” explains Okita.